Belfast, the capital of Northern Ireland, is one of the most populous cities in the United Kingdom and well-known for building RMS Titanic. Throughout part of its history it was the centre for the Irish linen industry, tobacco, and shipbuilding. It played an important part in the Industrial Revolution and was at one time the biggest city in Ireland, overtaking Dublin. 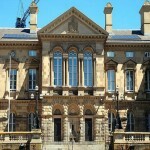 Today, besides still being a centre of industry, it is also a centre for the arts, higher education, business, and law. 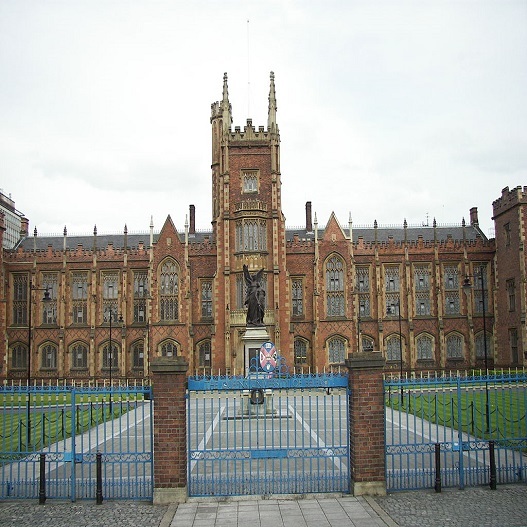 Belfast has had its share of troubled times as well since being granted city status by Queen Victoria in 1888. Conflicts in the 1970s between the republicans and loyalists have now long passed and it is now a popular tourist destination. No tour to Northern Ireland would be complete without seeing the natural wonder which is the Giant’s Causeway. A UNESCO World Heritage Site covering an area of about 40,000 interlocking basalt columns which resulted from an ancient volcanic eruption. 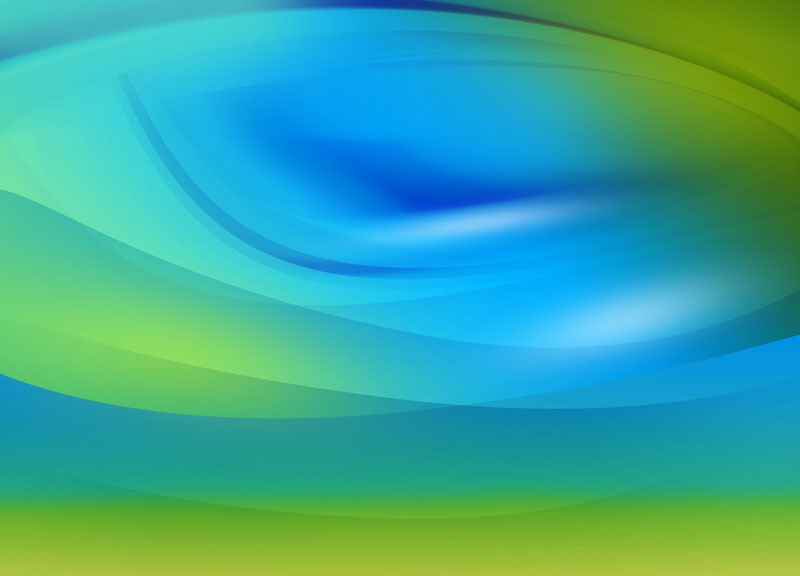 It is often regarded as one of the greatest natural wonders in the world. The columns are hexagonal in shape but some can range from four to even sides. 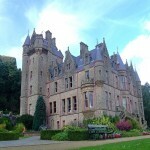 Group tours to this destination allow you to see the best of Northern Ireland. Evening: Departure from school and travel to Birkenhead for overnight ferry crossing into Northern Ireland. Morning: Arrival at the port in Belfast, Northern Ireland and travel to the city centre. Start of walking tour of city and see sights such as the Titanic Museum, Stormont, Grand Opera House, Belfast City Hall and much, much more. 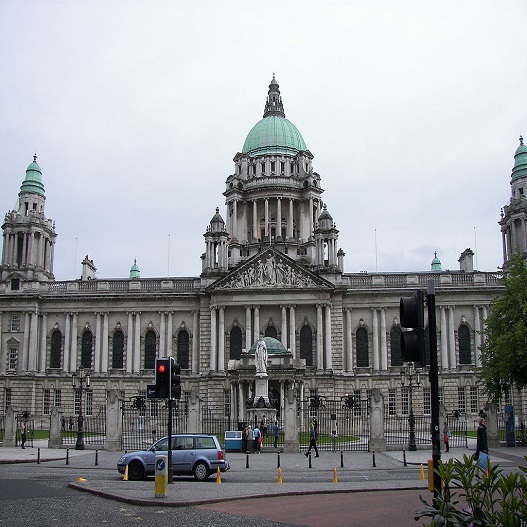 Afternoon: Spend the afternoon with your group visiting the sights of Belfast. Evening: Check-in and overnight stay. Evening activities available upon request. 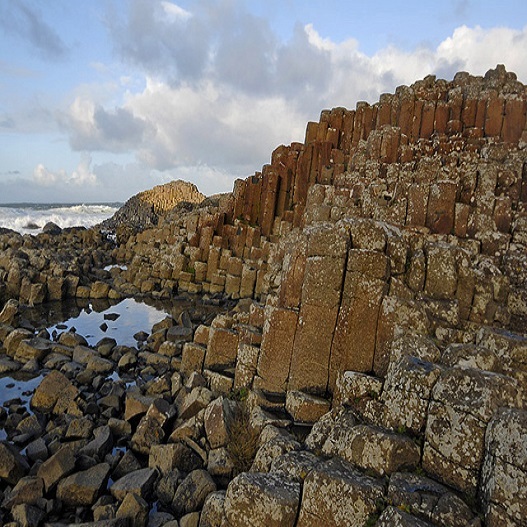 Morning: After breakfast, travel north to County Antrim to the northeast coast to the Giant’s Causeway. Afternoon: See and explore this natural wonder of the world at your leisure. Evening: Travel back to accommodation for overnight stay. Morning: After breakfast, travel to port for morning ferry back to Birkenhead. Afternoon: Onward travel through to school. Evening: Return back to school. 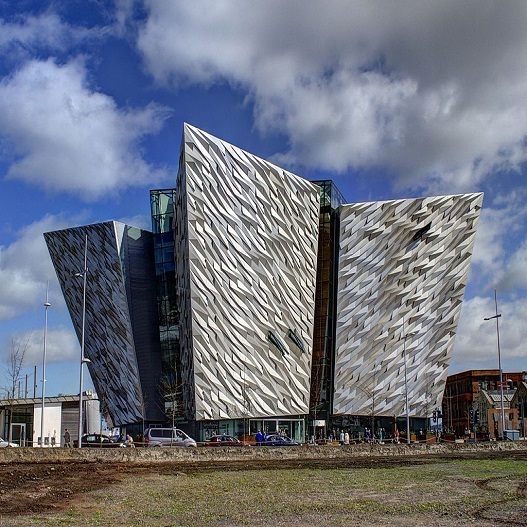 This is the world’s largest museum dedicated to the famous cruise liner RMS Titanic. The museum has nine galleries that cover different areas of the Titanic. Explore the shipyard and go on the shipyard ride, re-live the launch of the Titanic, and hear the stories of the doomed cruise liner. You can also explore the Titanic’s final resting place in never before seen photo galleries taken from the sea floor. This fascinating museum is ideal for all school groups and is a must visit for anyone visiting Belfast. 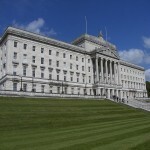 This building is the seat of the Northern Ireland Assembly and the Northern Ireland Executive. Throughout its history it was under threat of being destroyed several times either by unionist opposition or Irish Republican Army militants. 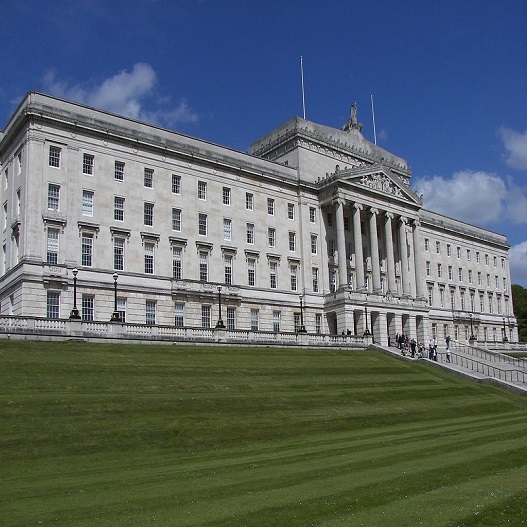 Inside you will find the original House of Commons of Northern Ireland and Senate. This castle is set on the slopes of Cavehill Country Park and provides unobstructed views of the city of Belfast and Belfast Lough. The original castle was built in the late 12th century by the Normans and was later used as a home of Sir Arthur Chichester. Inside the castle you will find an antiques shop, restaurant, and visitors centre. This building was used by the officials who collected customs duty on imported goods into Belfast. 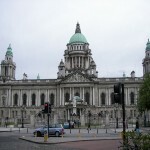 Home of the Belfast City Council and located in Donegall Square. It was previously the home of the White Linen Hall, an important international Linen Exchange. 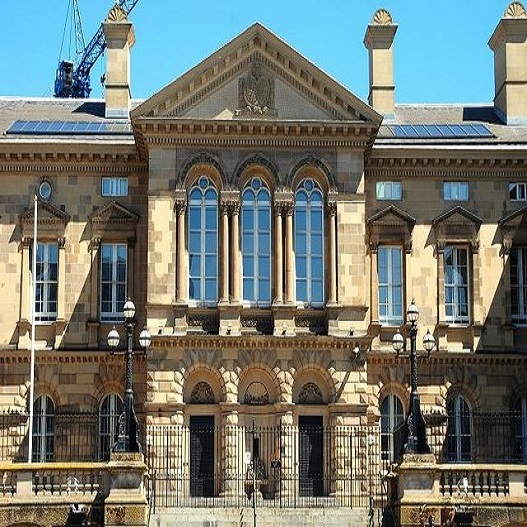 The exterior is mainly from Portland stone and Baroque in style. The Titanic Memorial in Belfast is located also on its grounds. 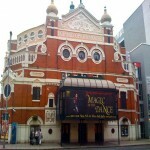 This opera house was designed by the famous architect Frank Matcham and first opened its doors on 23 December 1895. 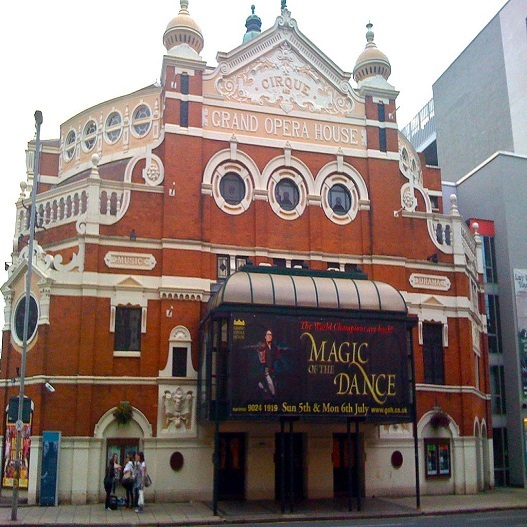 According to The Theatres Trust the “magnificent auditorium is probably the best surviving example in the United Kingdom of the oriental style applied to theatre architecture”. Nowhere on Earth can you get a better feeling of the Titanic’s size than at the original Titanic Dock and Pump House. It was here that the Titanic first set sail on its first and last voyage in April 1912. 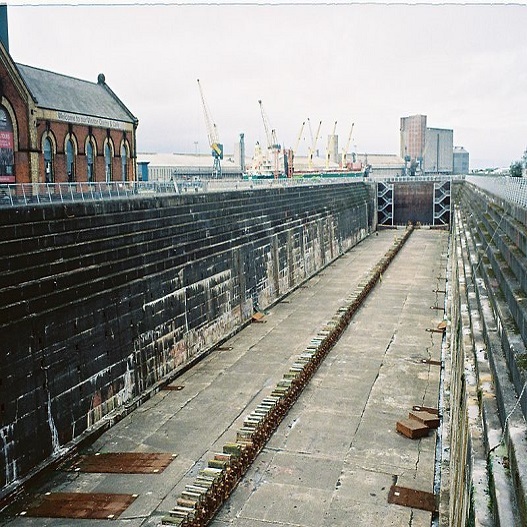 At Titanic’s dock, you have a unique opportunity to explore the site where Titanic last rested on dry ground and absorb the authenticity of her physical footprint in history. 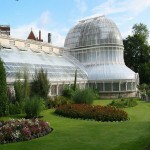 This public park occupies 28 acres in south Belfast and has beautifully landscaped gardens and enormous palm house. 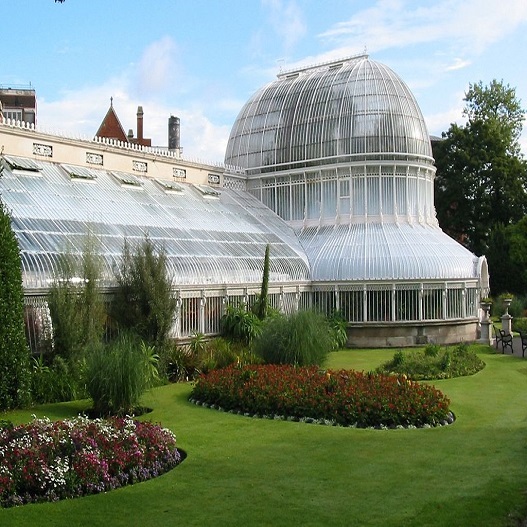 Located close to Queen’s University, the park’s palm house is the most notable feature of the park and one of the earliest examples of cast-iron glasshouses in the world. Visits to this park are recommended whilst in Belfast. This public research university in Belfast was opened in 1849 as “Queen’s College Belfast.” It ranks consistently in the top universities in the United Kingdom and offers undergraduate and post-graduate degrees. This cathedral belonging to the Church of Ireland serves two separate dioceses, yet being the seat of neither. Completed in 1904 on Donegall Street it remained mostly unchanged until 2007 when a 40 metre stainless steel spire was installed on its top. 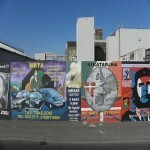 This main road through west Belfast is synonymous with the republican community. It is one of the more famous streets in Northern Ireland, drawing many visitors each year. 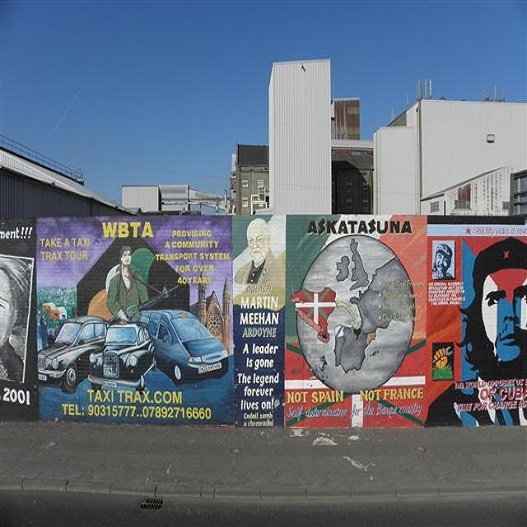 The road opposite is Shankill Road, which is predominantly loyalists and the two roads are separated by peace lines or in other words peace walls with iconic graffiti from Belfast’s troubled times. The Giant’s Causeway is a UNESCO World Heritage Site covering an area of about 40,000 interlocking basalt columns which resulted from an ancient volcanic eruption. It is often regarded as one of the greatest natural wonders in the world. The columns are hexagonal in shape but some can range from four to even sides.